A depressed cop becomes a chaotic force for justice, putting himself into dangerous situations because he no longer has the will to live. That’s Lethal Weapon. Or maybe Lethal Weapon is the story of two cops, who can barely stand each other from minute to minute, but who form a symbiotic working relationship that helps them catch slippery criminals. Or maybe it’s about how these two guys are so far outside protocol with their investigations that they inevitably rack up millions of dollars worth of property damage on every case. Or maybe the series is really about all cops, and how they form a loose fraternity while they stand up against every imaginable social ill. Throughout the run of Fox’s new TV version of Lethal Weapon, a few questions are bound to pop up again and again from fans of the four Danny Glover/Mel Gibson blockbusters. Namely: What was it that made the franchise special? And can it be shrunk down and duplicated? Those are questions that we should be able to ponder for a good long time, because the TV Lethal Weapon has the makings of a hit—or at least what passes for a hit using the current network metrics. The show doesn’t completely reimagine its source material, like Fargo, nor does it elevate it, like Friday Night Lights. But unlike a lot of other recent television series built around widely recognized preexisting properties, Lethal Weapon doesn’t feel like a cash-in. It has a vibe that effectively recalls the movies, with characters that are almost as enjoyable to spend time with as the originals. This is an easy show to watch, much more in the mold of a low-stakes, auto-renewed CBS procedural than anything challenging. What distinguishes the new Lethal Weapon most are the two lead performances. Clayne Crawford—best known for his extended stints on 24 and Rectify—brings a different energy from Mel Gibson’s to the role of the emotionally unstable LAPD detective Martin Riggs. While still driven to bleakness by the recent death of his wife, Crawford’s Riggs is softer around the edges, with a gentlemanly Texan demeanor and drawl. A former Navy Seal with a sniper’s eye and a weakness for booze, Riggs relocates to Los Angeles from El Paso at the start of the pilot episode and quickly finds a home on the beach, away from people, where he can start each day by spinning his revolver and deciding whether to turn it on himself. 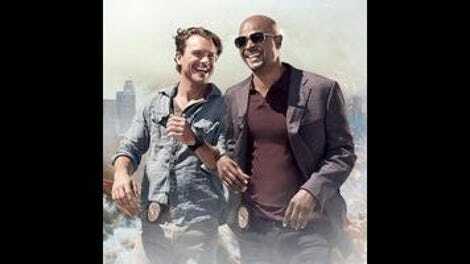 Damon Wayans, meanwhile, is more playful and less stodgy than Danny Glover as aging, unhealthy cop Roger Murtaugh. After suffering a cardiac arrest during his wife’s delivery of their third child, a recuperated Roger begins the pilot with a return to the force, only to get saddled with the heart-attack-inducing Riggs as a new partner. The two meet for the first time at a bank robbery/hostage situation, where Riggs walks right into the line of fire, grabs one of the bad guys’ guns, shoots all the robbers, and triggers an explosion that blows up the bank. That all happens before the title card of the first episode. It sets the tone for the reckless destruction and ruthless efficiency to come. The pilot—directed by McG, from a script by showrunner Matt Miller—is fairly action-packed, highlighted by a car chase that accidentally smashes into the middle of a Grand Prix race. One of the series’ most unexpected (and undoubtedly expensive) nods to the movies is the idea that in the heat of their assignments, Murtaugh and Riggs always end up blowing things up, crashing vehicles, and shooting up rooms until every last creep is dead. In “Surf N Turf”—the second of the two Lethal Weapon episodes that Fox provided to critics in advance—the partners inadvertently explode a tanker truck at the start of the hour, and then finish by facing down gun-runners in a warehouse full of assault weapons. It’s rare these days to see a network show so committed to pulp violence and big stunts. It’ll be interesting to see if Miller and his co-producers can afford to sustain that level of boom. Miller deserves some credit for not “reinventing” the Lethal Weapon formula in any significant way. This isn’t Murtaugh And Riggs: The Prequel, where it’ll take 13 episodes before the two even meet. There’s no complicated, slow-burning serialized arc evident in the first two episodes. If anything, Miller has cut through a lot of the mixed-messages and narrative bloat that hampered the later Lethal Weapon movies, and instead appears to be bringing the premise back in line with screenwriter Shane Black’s leaner, edgier original. Crawford’s Riggs is a wiseacre with a dark streak, whose outlook on life is improved by his pairing with Murtaugh—but not so much so that he doesn’t begin “Surf N Turf” passed out naked on a beach after another night of blocking out his grief with alcohol. Wayans’ Murtaugh remains a gruff but good-hearted family man, who has an immediate rapport with everyone, even if he’s openly irritated by their worst habits. As a Shane Black veteran (having co-starred with Bruce Willis in 1991’s The Last Boy Scout), Wayans has a feel for how to play his characters’ combination of cool and crazy. 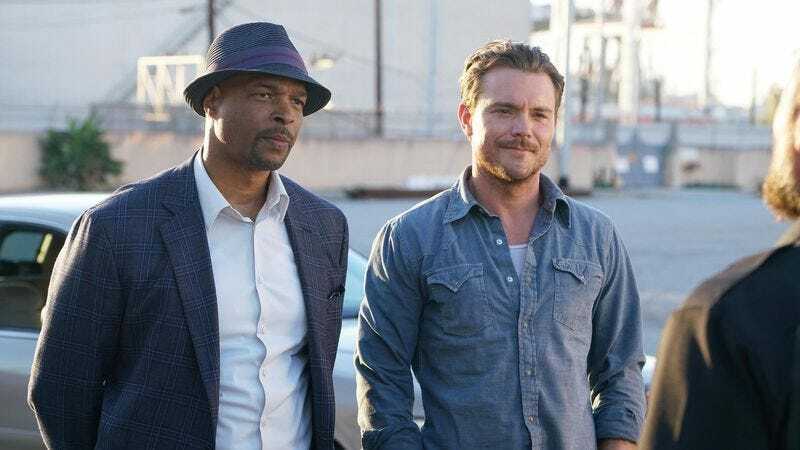 The plotting and action in this version of Lethal Weapon may not offer much reason to tune in every week, but the Riggs/Murtaugh dynamic pops almost as well as it did on the big screen. When Riggs comes close to dropping the franchise’s most famous catch-phrase—saying to Murtaugh, “You’re too old for this…” before his partner cuts him off—that could be seen as emblematic of how the TV Lethal Weapon is going to pull its punches. Or maybe the heroes don’t finish the line because it’s not really true. The Lethal Weapon concept, however it’s defined, has now been around for nearly 30 years. It’s creaky, sure… but it’s not too old to work.